Elegant fuchsia pink evening shoes by the Spanish designers Avance Menbur Two twisted flowers at the toe with silver & deep pink balls for that extra added sparkle. A 3" satin covered heel and adjustable elasticated buckle at the ankle for a great fit. Also available in navy blue. 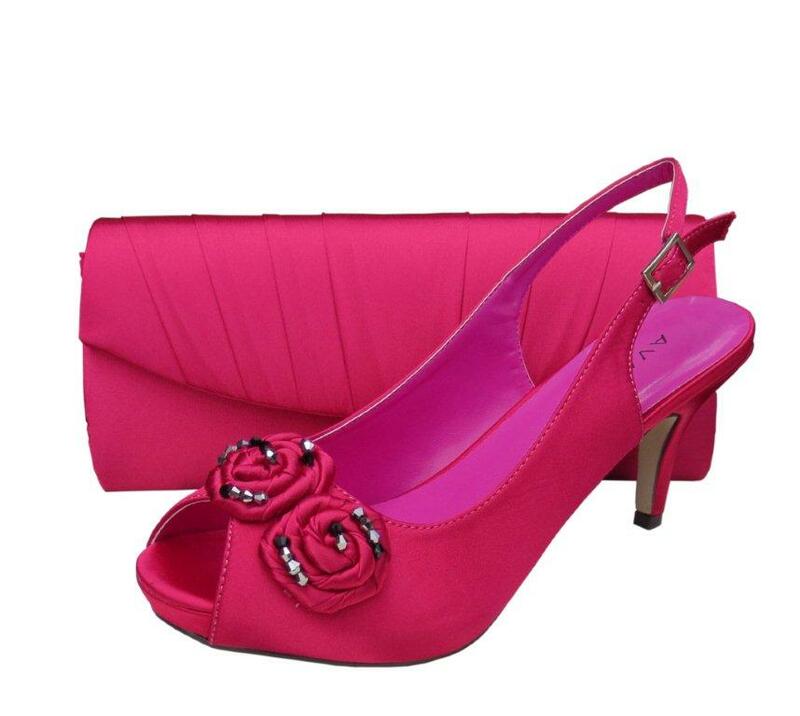 Matching clutch bag is also available separately to match these beautiful fuchsia pink evening shoes.